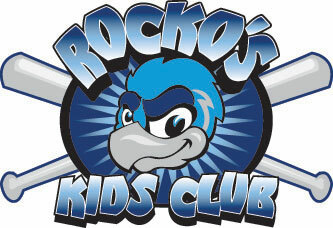 April 16, 2007 - LOVES PARK, Ill. – Area kids have an extra reason to hope the Rockford RiverHawks’ offense enjoys some high-scoring nights. The RiverHawks announced today their new Members Alliance Credit Union Play Ball Kid of the Game promotion. Each night, one child will be chosen at random before the game and given a t-shirt from MACU, Own It Realty and B103. At gametime, the kid will be brought to the top of the home dugout and announce, “Play ball,” to the crowd. For each run scored by the RiverHawks that night, Own It Realty will donate $5 to a savings account in the kid’s name that will be opened at an area MACU location. “It’s going to be a thrill for them to announce the game, but it’s also going to benefit them financially and Members Alliance will gain customers for a lifetime,” RiverHawks general manager Josh Olerud said. Kids 12 and under can register at any of the six area Members Alliance Credit Union locations.